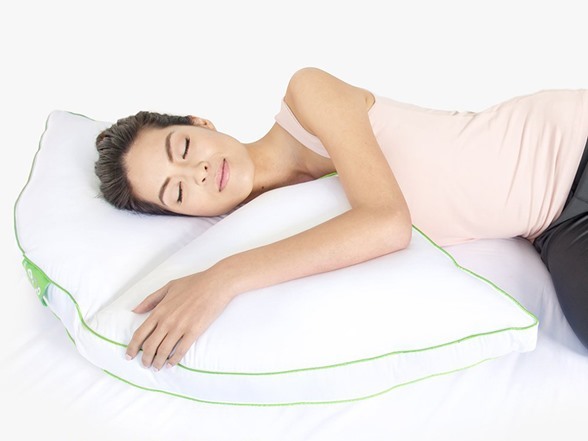 The Sleep Yoga Side Sleeper Pillow's unique shape offers perfect support for side sleeping. Our Side Sleeper pillow has a unique notch for your neck, offering the right amount of support as you sleep on either side. The two over-filled sections helps provide ultimate comfort and better alignment for your neck as you sleep and the pillow can be rotated to achieve just the right fit as you sleep. Each Sleep Yoga? Posture pillow was designed with the help of a Chiropractor and is made in Southern California using a specially blended polyester fiber fill Made in the U.S.A. Our pillows are covered with a blended fabric of Cotton and Coolmax blend, making it soft, refreshing, resistant to wrinkles and very strong when wet or dry. Each pillow is 100% Hypoallergenic and machine washable and dryable on a low setting for easy care. The result is a sleep product with the quality and benefits you have probably never seen nor experienced before. 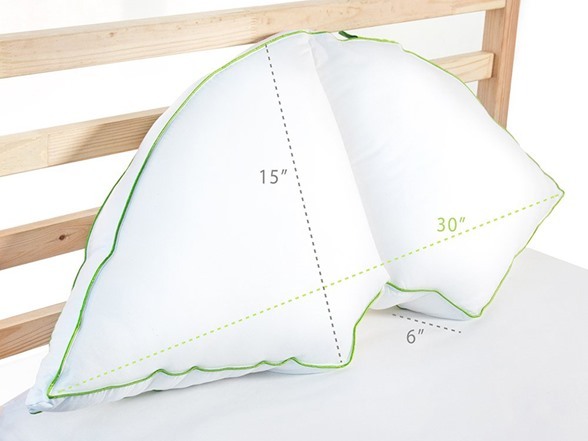 If you are looking for the BEST SIDE SLEEPER PILLOW, this is it! 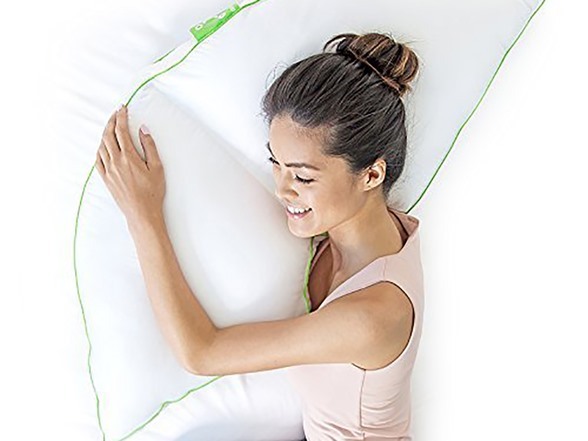 The Sleep Yoga® Side Sleeper Pillow's unique shape offers perfect support for side sleeping. 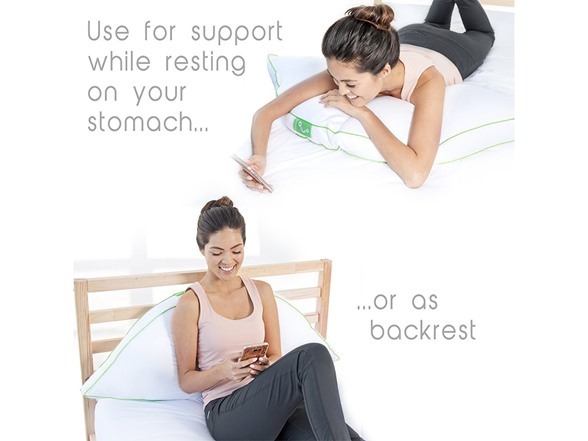 Our Side Sleeper pillow has a unique notch for your neck, offering the right amount of support as you sleep on either side while allowing your arm to rest on the pillow and could help relieve shoulder strain while you sleep. The two over-filled sections help provide ultimate comfort and better alignment for your neck as you sleep and the pillow can be rotated to achieve just the right fit as you sleep. Each Sleep Yoga™ Posture pillow was designed with the help of a Chiropractor and is made in Southern California using specially blended patented down alternative filling material. Our pillows are covered with a blended fabric of Cotton and Coolmax, making it soft, absorbent and very strong when wet or dry. 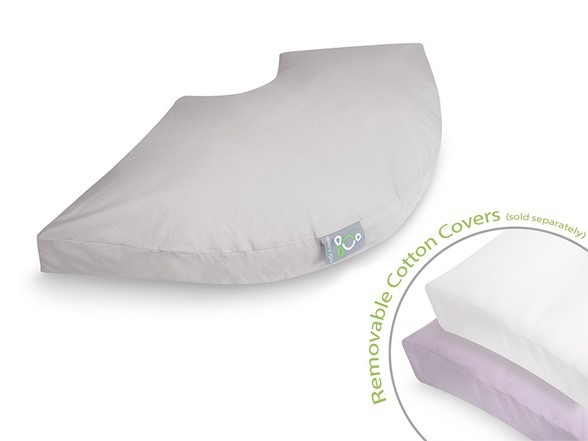 Each pillow is 100% Hypoallergenic and machine washable and dryable on a low setting for easy care. The result is a sleep product with the quality and benefits you have probably never seen nor experienced before. Made in the USA. COTTON COOL-MAX BLEND COVER - Breathable easy clean cover, soft and absorbent. (1) Sleep Yoga Side Sleeper Pillow, 15" x 30"